William (Bill) Vickers (1942-2016), esteemed anthropologist, friend, and mentor, passed away on Sept. 15, 2016. 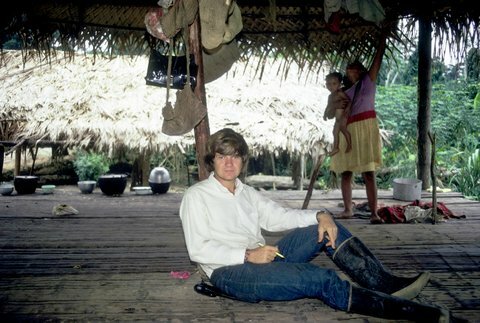 Bill, as he was known, was a North American anthropologist whose five decades of scholarship and advocacy among the Ecuadorian Siona-Secoya people was recognized worldwide. At the time of his death he was Professor Emeritus of Anthropology in the Department of Global and Sociocultural Studies at Florida International University (FIU) in Miami. His tenure at FIU lasted over a quarter century during which he was recognized for excellence in teaching no less than three times. Bill received his PhD at the University of Florida where he worked with Charles Wagley and Paul Doughty, both of whom became life-long friends. He was among the earliest participants in Wagley’s historic Amazon Research and Training Program (which later became the Tropical Forest and Conservation Program). It was here, too, that he and his wife Edite returned in his retirement. His work, conducted in the rainforested lowlands of Ecuador and Peru, focused primarily on the human ecology of indigenous communities, native environmental knowledge, land rights, and development. He was particularly interested in the interrelationships among people and the plant and animal resources on which they depend. Before the term sustainability became fashionable, he was concerned with rates of resource use, technology, and depletion. His most influential research addressed the dynamics of hunting and shifting cultivation; ethnobotany; and the determinants of settlement patterns in Amazonian societies. To each subject he brought the highest standards for data collection, analysis, and writing. 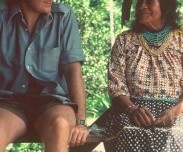 Throughout his lifetime, Bill remained an ardent and dedicated advocate of the Siona-Secoya people of Ecuador’s Oriente. In 1994 he founded The Siona-Secoya Foundation, Inc, which supported innovative projects in education, health, art, and infrastructure. Rather than treating native hunting-and-horticultural communities as though they were closed systems, Bill Vickers was one of the earliest anthropologists to report on the impacts of commercial oil exploration on the lives of native peoples. In addition, his expert consultation played an important role in focusing international attention on the impacts of colonization and oil development. 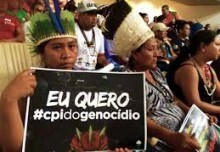 Between 1999 and 2001, he served as an international observer in negotiations between the Organización Indígena Secoya del Ecuador (OISE) and the Occidental Exploration and Production Company concerning exploration for oil on native lands. The work led to an unprecedented “Code of Conduct,” with informed consent procedures and community environmental oversight. The achievements put in place policies to ensure community involvement and dialogue about oil activity on their land. Bill’s publications include Adaptive Responses of Native Amazonians (co- edited with Raymond Hames, 1983); Useful Plants of the Siona and Secoya Indians of Eastern Ecuador (co-authored with Timothy Plowman, 1984); Los Sionas y Secoyas: Su Adaptación al Ambiente Amazónico (1989, reprinted 1996); and numerous journal articles. The amplitude of Bill Vickers’ life is kept alive in the memories of his wife, Edite Vargas de Souza Vickers, as well as his many friends, colleagues, and students whom his work and life influenced and touched. Presentation 1: Edite Vickers, wife of Bill Vickers – remembering Bill (slides) – 30 min. Presentation 2: Esther Jean Langdon – Memories of Bill from friends and colleagues – 30 min. Presentation 3: Janet Chernela – Memories of Bill as teacher and colleague – 20 min.